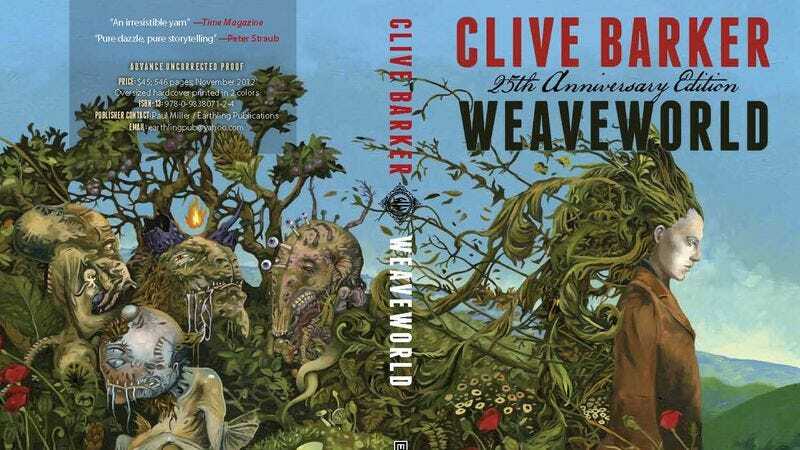 One of the author’s most popular non-Hellraiser stories, Barker and various TV executives have been trying to get Weaveworld onto screens for years. Showtime acquired the rights to the book back in 1996, and spent a solid decade working to get a mini-series adaptation off the ground. Presumably, The CW’s recent successes with effects-heavy series like Arrow and The Flash have convinced it that it’ll be able to succeed in bringing Barker’s world of dark magic to life, a task at which numerous others have consistently failed. Meanwhile, fans of the book who worry that a sense of datedness might have crept into the project over the years can put their fears to rest, as Deadline is reporting that the novel’s protagonists have had their professions updated to “app designer” and “pastry chef,” the officially recognized 2015 default jobs for disaffected young men and plucky young heroines, respectively.